we provide you with the transportation service you deserve. JFK airport Limousine Service Transportation to New York City with the latest model stretch limos available for hire. JFK Airport Limos & Cars are ready for any occasion. Hired to travel NYC with courteous chauffeurs based at John F Kennedy international airport. Drivers with knowledge about NYC with limousine experience with all clients traveling on business or pleasure get the same VIP treatment. JFK car service to NY is affordable for guests in a hurry and too tired to catch a taxi. We all agree that after being on a long journey you don’t need another hassle getting to time square. JFK airport transportation to NYC in style with limos or Mercedes Sprinter Vans for larger groups, will eliminate the need for parking and avoid the stress of traffic. 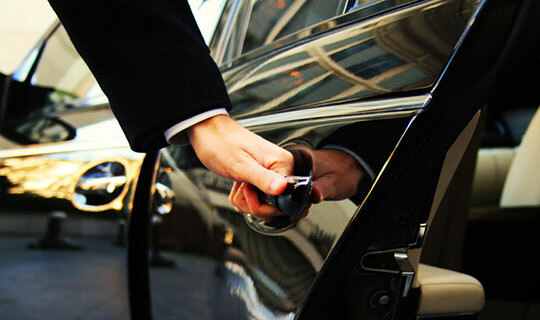 New York airport limousine service is a more personalized mode of JFK transportation. Our service is far better and convenient than any yellow taxi, MTA bus or the use of underground subway transit. The use of the newly constructed Airtrain can be time-consuming and less relaxing. Give us a call to give our service a try as we are known for our commitment to professionalism. JFK Airport Limousine provides routine car service to airlines flight crew attendants and travel agency accounts. JFK airport transfers made with an NY limo car company that specializes in affordable ground transportation for private hire. We recently added more JFK stretch limousines to the fleet as well as new SUV vehicles. Our outstanding luxury fleet consists of luxurious late model MKZ Lincoln town car SUV, stretch NY limos and multi-passenger vans. They are updated on a yearly basis with the newest technology available. For your security, all ground link vehicles are properly licensed, regulated and insured by law. We invite you to witness as to why our JFK limo service is the best choice mode of transportation to New York City. NY limousine now operates the best transportation service from John F Kennedy international airport with chauffeured rentals for hire to travel all over the tri-state area. Routine JFK sedan service to the greater areas of Manhattan, Long Island, Westchester and Connecticut for any holiday occasion or business event. For your ground transportation convenience, all corporate accounts with JFK airport limos are offered to accept all major credit cards. Our Company has been providing limousines and car transportation services since 1999. With superior customer service, dedication and hard work we have forged a good name for ourselves and became the preferred choice for JFK airport transportation and all the airports in the New York City and surrounding areas. We also provide other classic limousine services for weddings, proms, night out, tours to any transportation needs, We have Limousines, sedans SUVS, Party Buses that we upkeep and renew every year. Do not hesitate to call us for a free quote or click here to contact us. I used this service to and from Times Square via JFK airport ! !this a Top notch service !! Your customer service and driver were wonderful and I would highly recommend this company !!! JFK Airport Transportation service was really great! I was surprised how quickly the driver found us with the amount of people at the airport!. I am impressed and 100% satisfied with the company service. Very clean and courteous, I would highly recommend them.